Mr. Kho graduated with First Class Honours in BSc (Engineering) from King’s College University of London. He was also awarded the prestigious Singapore’s President Scholarship and had served in the Singapore Civil Service till joining Lian Huat Group in 1985. 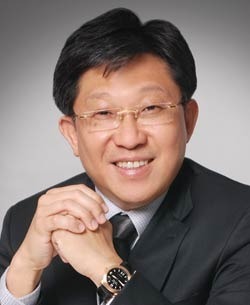 After joining Lian Huat Group in 1985, Mr. Kho was responsible in upgrading and modernizing the Group’s management system and expansion plan while preserving the qualities of the traditional Chinese ethics and culture to lead the group to be one with international perspectives and practices and yet nimble with long-term vision.